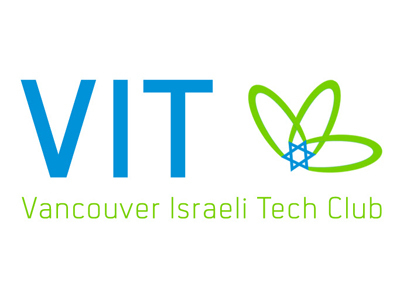 Hi-technology entrepreneurs, professionals, researchers and investors who have an interest in Israeli-led tech ventures and the active technology sector in Vancouver are invited to attend VIT’s next scheduled event on November 4. The mission of VIT is to help entrepreneurs, investors and technology professionals achieve greater success by providing a forum for sharing experiences, developing contacts and creating a supportive community that enhances business relationships between Canadian and Israeli technology companies. Tuesday, November 4, 2014 | 5:30 p.m. - 8:30 p.m.
Daniel Friedmann, a community leader and the CEO of MDA, one of Canada’s largest tech companies, will provide an overview of the company, some of its latest developments and its Israeli connections. Meir Deutsch, CEO of IKOMED, will share information about his medical device start-up and how it isreducing the radiation risk associated with medical imaging. Yaron Bazaz, Co-founder and CEO of 'Downtown' will present his new Mobile Application startup. Kosher style deserts will be served and casual networking will take place before and after the presentations, which will all be in English. Click here to learn more about the Club and to register for the upcoming event.